INSIDE OUT hit theaters last month and quickly stole our hearts and minds. Truly another beautiful flick from the minds of Disney PIXAR. 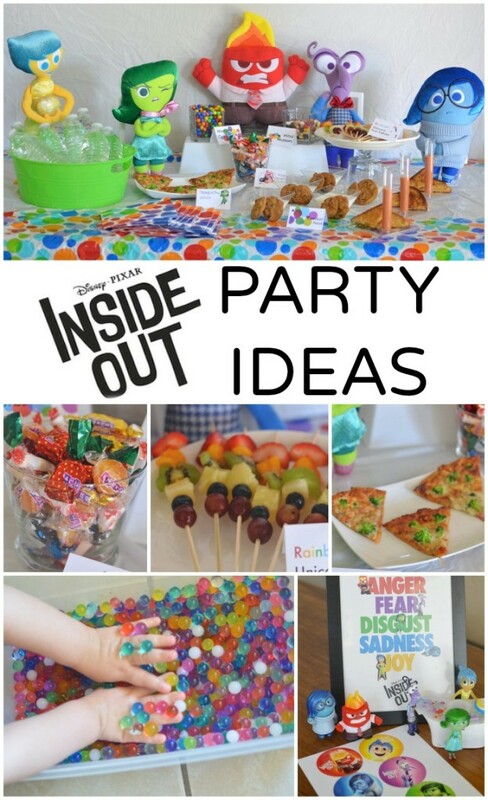 To celebrate, we let our emotions run wild with a fun INSIDE OUT party. 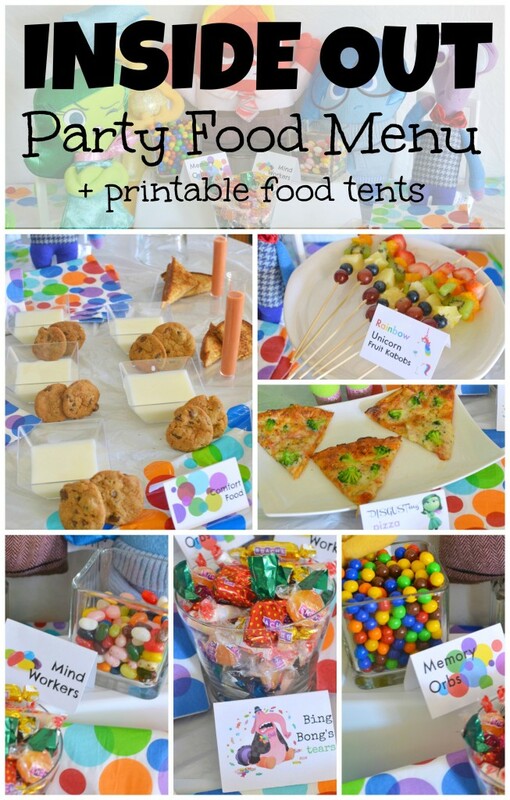 The kids had fun with the party activities while I loved coming up with fun foods that played off the theme of the movie. These foods capture some of the fun aspects of the film. If you’ve seen the film you know Riley and Disgust have a few run-ins with broccoli. 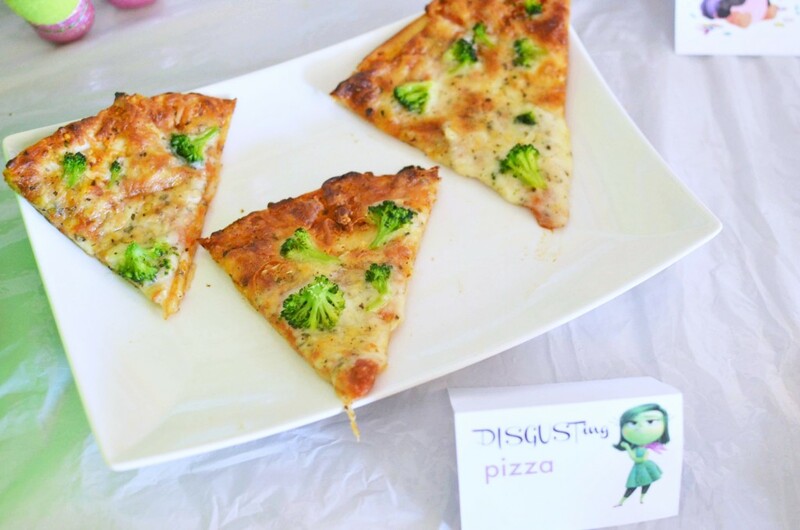 I just had to serve Disgust-ing broccoli pizza. To make things simple I topped a frozen pizza with frozen broccoli and cooked it up in the oven. Next, I felt comfort food was the perfect way to bring in the element of emotions. 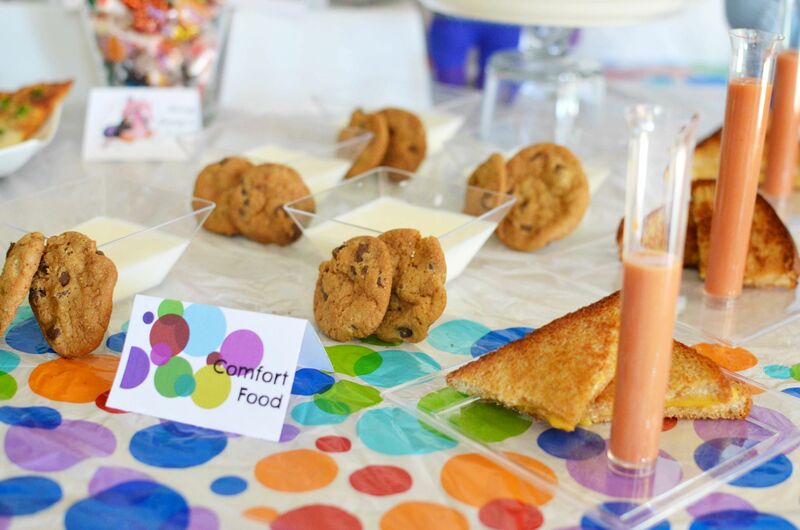 For me tomato soup & grilled cheese and milk & cookies represent the perfect marriage of comfort foods. To make everything party friendly I served them up in individual cups and memory tubes. How fun are the sandwiches with tomato soup shooters. Takes the mess out of the equation, especially when little ones are involved. I always like to offer up some finger foods for snacking. This time I went with fruit, because rainbow! 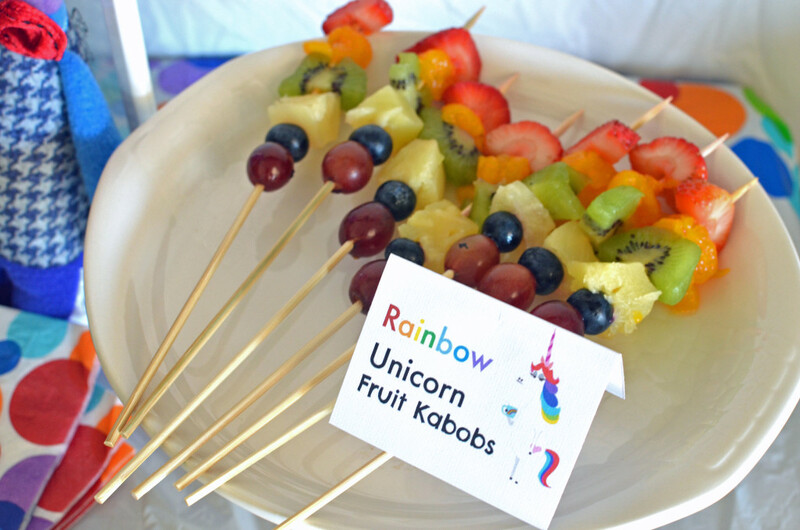 I made dreams come true with the Rainbow Unicorn fruit kabobs. Easy to assemble on a bamboo skewer. We went with fruits that were in season or easy to skewer, though if I did it again I would swap out the oranges for cantaloupe or mango. Here’s what we assembled our kabobs with: strawberries, mandarin oranges, pineapple, kiwi, blueberries, and grapes. You could also use bananas for yellow and green grapes. The possibilities are endless. 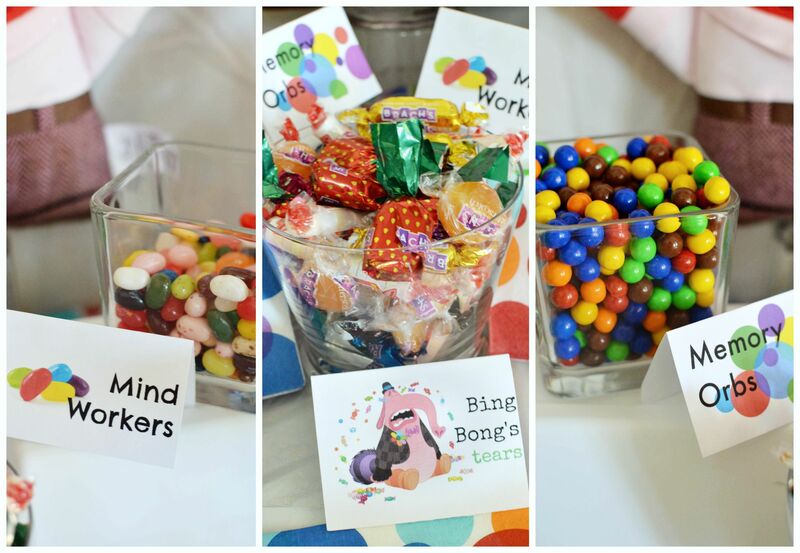 The final, and most popular, part to our themed food was the candy bar. I pulled these ideas straight from the film. Riley’s imaginary friend is quite special and cries candy tears. I grabbed up classic wrapped candy from the bulk area at the grocery store. 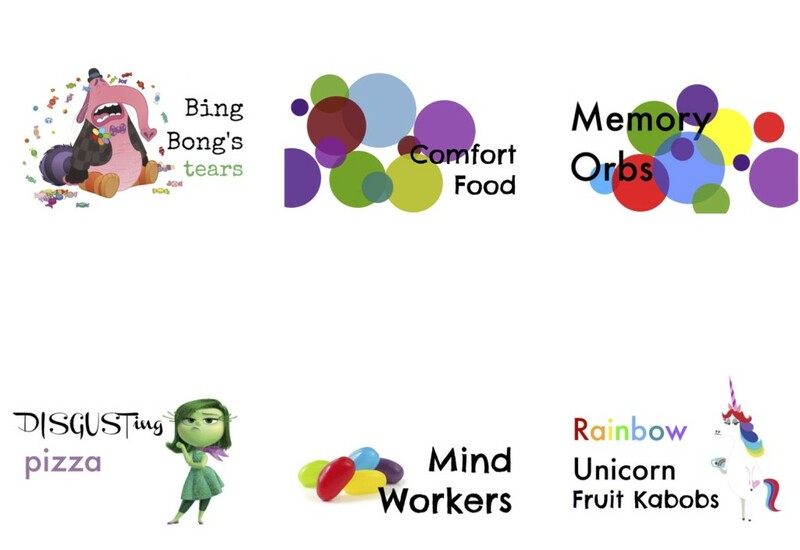 The mind workers looked just like jelly beans and Sixlets worked perfect to represent the memory orbs. The food labels are printed on card stock and folded into a tent. 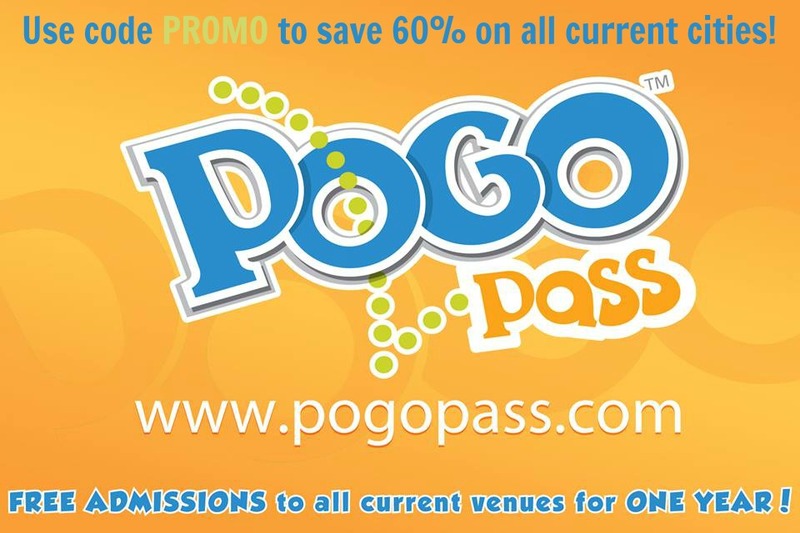 Looking for more fun party ideas? 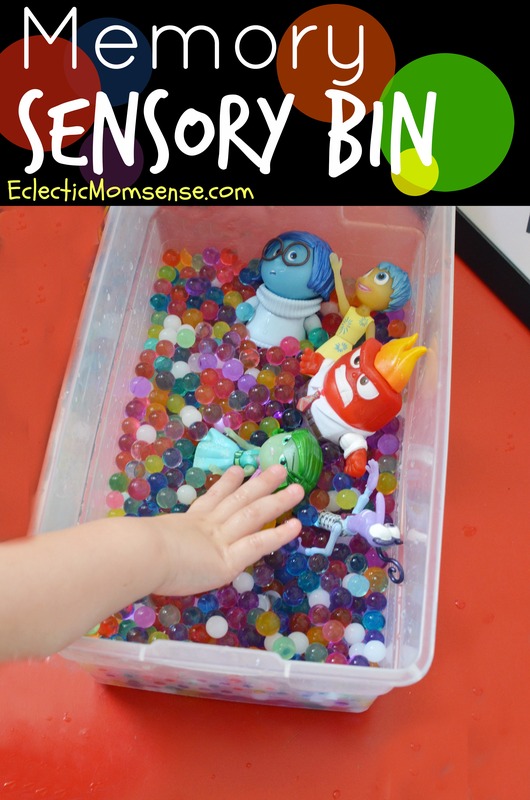 Checkout these INSIDE OUT posts and printables. 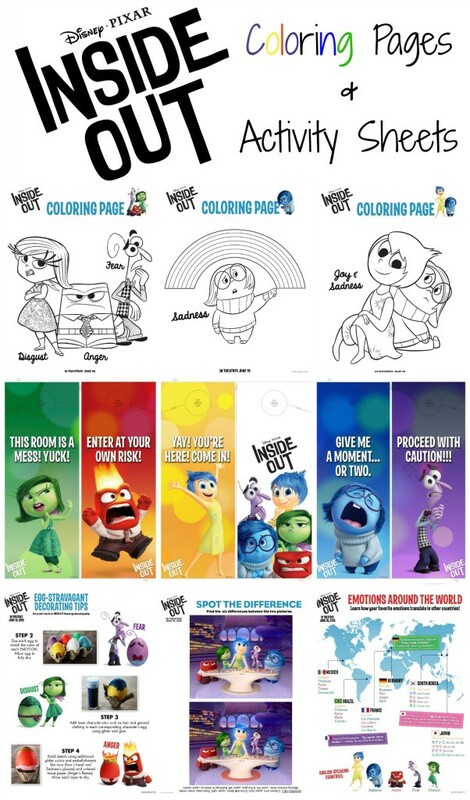 Are the inside out activities and coloring sheet okay to be reprinted and distributed? The coloring sheets can be printed and used for personal use (ie. home, birthday party, classroom, etc.). They may not be mass reproduced or distributed. wow my kids love this film, I haven’t thought about making food labels on menu, I’ll make this on my little son’s birthday, the kids will like it. Thanks for the post.